Grace & Bob Birge (s/o Manuel Birge & Sarah Elizabeth Ames). 1870 Clay County KY Census, Precinct 3. PAGE: Manchester P.O., HH 172. 1910 Owsley County KY Census, Island Creek Precinct. Marjorie Turner, Leesburg FL, author of "A Branch of the Combs Family". Jamie was legally adopted & raised by Jesse Hernandez, Pat's second husband. 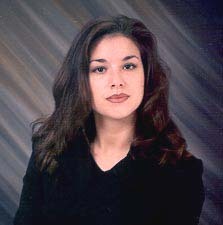 Jamie Hernandez, daughter of Patricia Cross & Charles George. PAGE: - Note for Martha. William Newman, grt grandson of Richard Morris Newman (s/o Henry Harrison Newman) - Susannah. 1880 Owsley County KY Census, Dist. 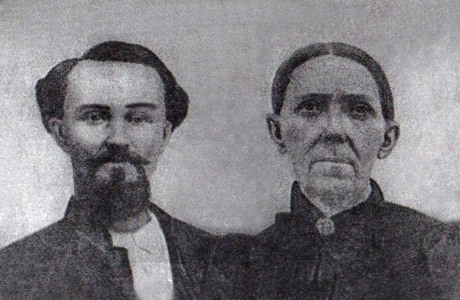 80, HH 369 - Louisie J.
William and Polly had 11 children. Ron Rowland, grandson of Elsie "Dee" Thomas through son Tommie - 1875. 1910 Owsley Co. KY Census by Robert L. Smith, Buck Cr Precinct. Norma Jean, wife of Harley T. Thomas, g/son of Greenville thru son Charles R.
PAGE: for Henry Clay Griffith.